The Senator representing Osun East, Senator Babajide Omoworare has joined well wishers to celebrate the APC national leader and former Governor of Lagos State, Asiwaju Bola Ahmed Tinubu as he adds a year. Omoworare in a statement made available to press by Tunde Dairo his media assistant, described Asiwaju Bola Tinubu as a rare breed politician whose life exemplifies service and commitment to humanity. 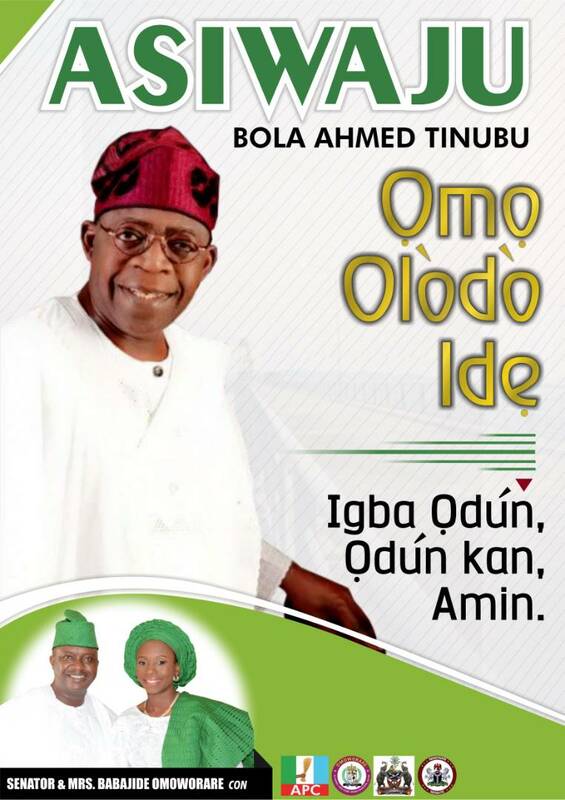 In his words, Omoworare said "Asiwaju Bola Ahmed Tinubu is a political and democratic enigma whose life of dedication and sacrifice is second to none in the annals of political endeavour in Nigeria. He is gifted with a sight beyond ordinary, he sees light and possibilities when others are pessimistic". He went further to describe the Jagaban Borgu as a political General whose battle charge and tactics are unique and exemplary. "Asiwaju is who the Yoruba describe as ' _O ran 'mo n'se faya ti '_ . His encouragement and support on any assignment is outstanding."